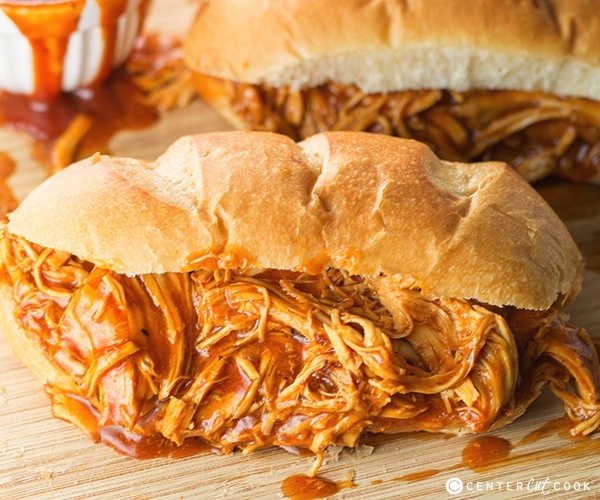 Slow Cooker Italian BBQ Chicken Sandwiches are quick and easy, and offer a tasty twist on traditional BBQ chicken sandwiches. And because they are made in the crockpot, minimal effort is required! 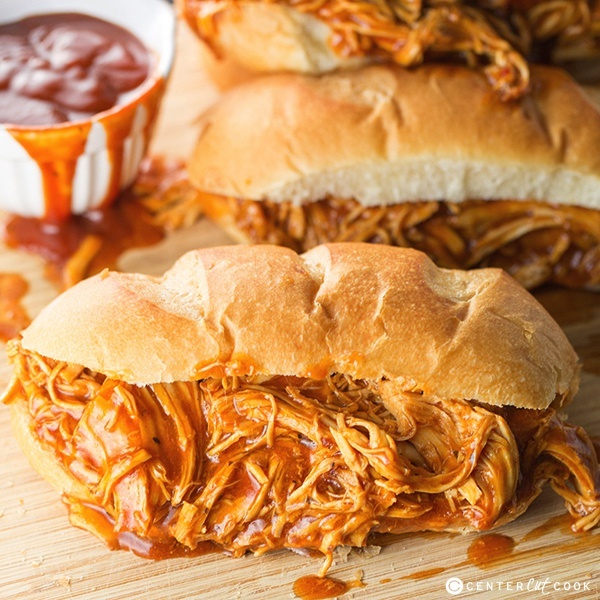 BBQ Chicken Sandwiches made in the crock-pot are a staple in my house for the simple reason that they are quick and easy to make and of course, they’re tasty! 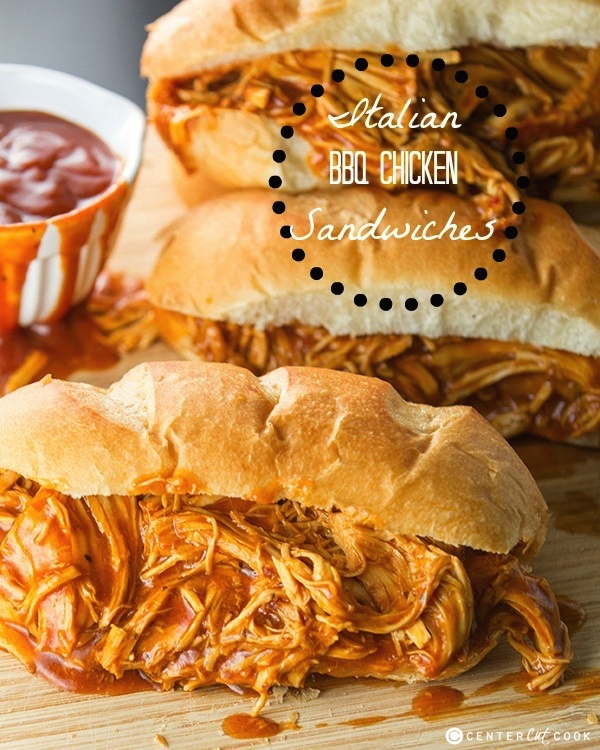 I decided to put a twist on regular ole BBQ Chicken Sandwiches when I tried this recipe for Italian BBQ Chicken Sandwiches. Instead of just using BBQ sauce, you’ll use a combination of Italian dressing and BBQ Sauce. I know, the combination might sound a little unique, but trust me when I say that this tasty little twist is just that… tasty! One of the conveniences of using a slow cooker is the ability to just dump ingredients in and walk away, only to return hours later to a meal that’s ready to go. This recipe works perfectly for that, and to boot, you’ll only need 5 simple ingredients. You’ll need about three average boneless skinless chicken breasts, four if they are on the small size, your favorite BBQ sauce of choice, Italian dressing, and just a little bit of brown sugar. I like to serve these Slow Cooker Italian BBQ Chicken Sandwiches with my KFC Coleslaw Copycat recipe and some fresh fruit. The coleslaw can be made in advance so that come dinner time, all you will have to do is shred the chicken, warm the rolls, and eat. Is there anything better than a quick and easy recipe for the Slow Cooker that the whole family will enjoy? I think not. Mix together BBQ sauce, Italian dressing, and brown sugar. Place chicken in the bottom of a slow cooker. Pour sauce mixture on top. Shred the chicken right before serving.